Casualty Clearing Station (CCS) - US terminology? Does anyone recognise this hospital? 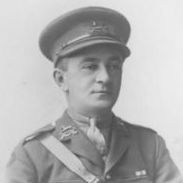 Who was Maj. N.H. Oliver RAMC?